Jean-Baptiste is not like other humans. He lives for smell and smell alone. Yes, you read that right. Everything else about the world is immaterial to him. All that matters is scent. His sense of smell borders on something superhuman as he can pick it apart down to its base elements as well as separate out and follow one smell amid a chaotic environment overwhelmed with different complex scents. 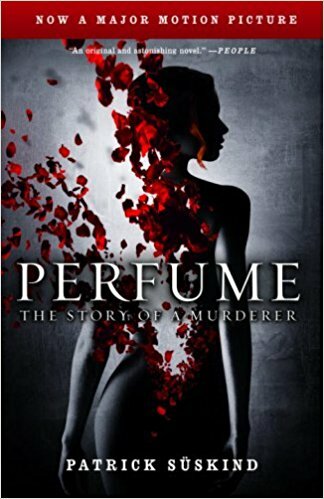 This fixation leads him to a life as an extraordinary perfumer. However, Jean-Baptiste cares nothing for fame, fortune, or even his work. His true, secret goal is more sinister, rooted in a dark experience from his youth when he tracked the most exquisite, perfect scent to a young girl and unsuccessfully tried to take her scent for himself. I would call this story magical realism. 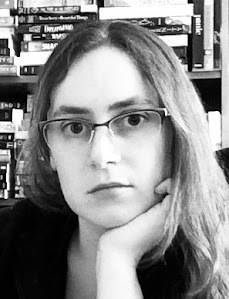 It’s not fantasy as it doesn’t explicitly call anything magic, but rather the magical elements are catalysts for unusual characters and plot threads. However, I consider the novel some branch of speculative fiction without a doubt since what Jean-Batiste does lies beyond the bounds of realism as we know it and his whole character is portrayed almost as a type of demon. I hesitate to comment on the writing, since I know this book is translated from the German, but I will assume the English translation bears some reflection of the original German. I cannot call the writing anything other than luscious, skillfully taking us inside a very warped, tunnel vision obsessed mindset. The story is filled with vivid, unusual metaphors putting Jean-Baptiste’s bizarre view of the world into some comparison most of us can understand. Also as a writer myself, I struggle with scent more than any other sense. I know smells, but putting a specific smell into descriptive words a reader can understand is very difficult. Yet Suskind (and/or Woods) finds the words, over and over and over again, to describe a small fraction of the countless distinct scents we encounter in our daily life. This is a weird story to be sure, but weird can be good or bad. Some will find Jean-Baptiste’s creepy obsessions merely off-putting while others, like myself, see the story as an exceptionally unique point of view. I believe most everyone will agree this novel is one of a kind. 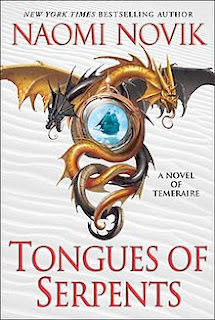 After being convicted of treason and striped of his title in the last book, former Captain Will Laurence and his dragon partner Temeraire are transferred to a prison colony in Australia. They accept an assignment to blaze a trail through uncharted territory in hopes for leniency on their sentence. Along the way they encounter smugglers and unfamiliar, dangerous, wild beasts. As always, I LOVE the voice in this series. It’s so unique, wittily formal, and in a word delightful. Temeraire in particular never ceases to tickle me: the proper dragon with a sense of etiquette and a firm moral code. I also love the Australian creature introduced in this book, though not in the same way I love Temeraire. I don’t want to say what it is to avoid spoilers, but the interpretation of this mythical beast is the right amount of creepy and intriguing. Not to mention the thing’s knack for showing up at the worst possible moments and making those moments worse. I love every new Temeraire book I read and this is one of those series that I naively hope will never end.